#55 – Which direction should you go? #52 – Do you know the rules about making a U-turn? #54 – Did you know minor crashes can be reported online? #56 – When you see the red man at the traffic lights…STOP! 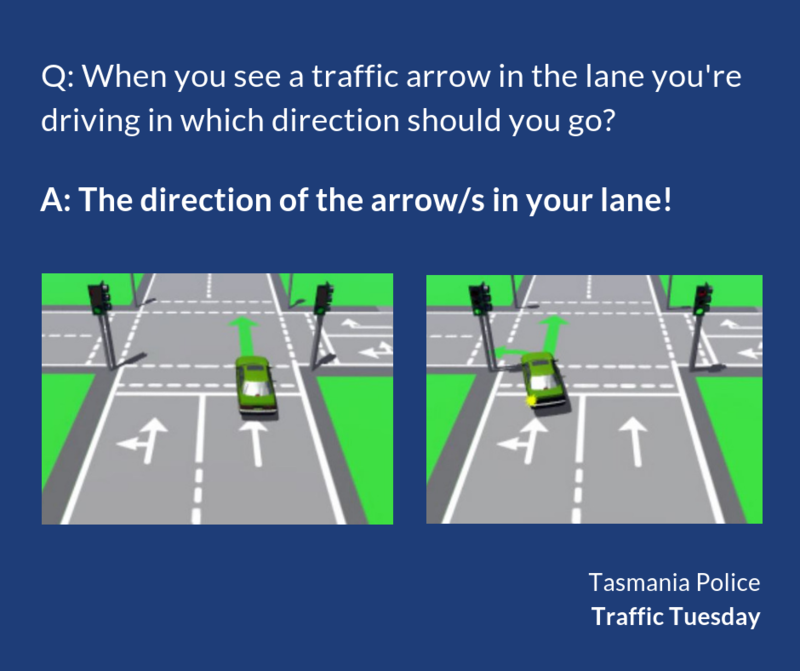 This page -- https://www.police.tas.gov.au/what-we-do/traffic-policing/traffic-tuesday/55-which-direction-should-you-go/ -- was last published on November 15, 2018 by the Department of Police, Fire and Emergency Management.